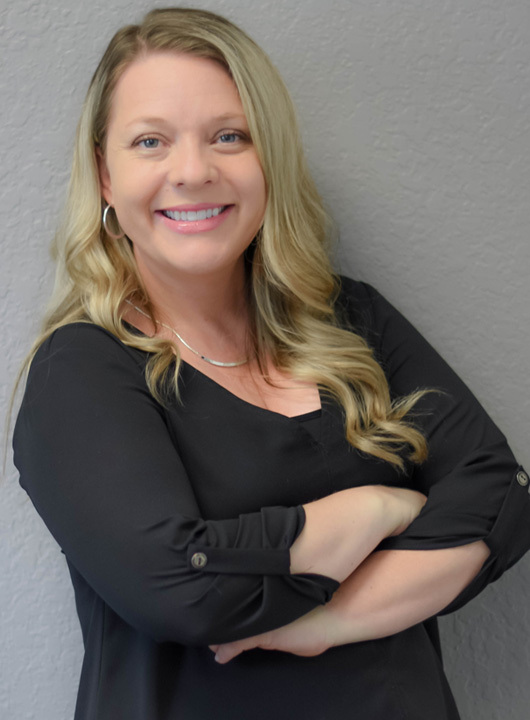 Allison is a graduate of Nova Southeastern University-Ft. Lauderdale, FL where she received her Master of Science degree in Speech Language Pathology. Drawn to help those struggling to find their “voice,” she began her career at a skilled nursing facility providing cognitive, language, voice and swallowing therapy. She enjoyed working with older patients, but was inspired seeing the phenomenal strides and lifelong impact of pediatric speech therapy. Allison joined the FOCUS team to be a part of that process. Her clients are a diverse group, requiring assistance with speech, expressive/receptive language, fluency and social pragmatics. Her previous clinical background settings include: Elementary school and pre-k charter school, adult outpatient rehabilitation and a children’s hospital. Since 2012, she has been a proud member of the American Speech Language Hearing Association. She also has special training in Sequential Oral Sensory (S.O.S. )Feeding Approach. She enjoys spending time with her mother, sister, friends and two fur babies, chihuahuas Lola and Olivia. Although born in Michigan, she has never seen snow! (Her family moved to Florida when she was just 2). Teaching children effective communication skills to prepare them for success in academics and everyday life is what she loves most. The collaborative, positive environment is what Allison believes sets FOCUS apart from the rest and makes it a fantastic place to work.